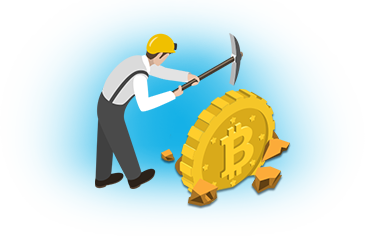 Bitcoin may be fast establishing itself as the currency of the internet age, but it’s proven very difficult to convince customers that their finances will be safe in this new and, so far, largely unregulated medium. That’s why, for gamblers, June 2013 marked such an important occasion. This was the month when BitCoinRush launched, creating the first ‘provably fair‘ casino and sportsbook for bitcoin gamblers. And ‘provably fair’ is no idle boast. Take a game like Bitcoin blackjack. The player has the choice of where the deck should be cut. They can leave this setting on its default, but at any time they can opt to have the deck cut differently – they’ll even be able to look back at previous hands to see how the new setting would have affected their luck. This extra level of verification makes it extremely difficult for casinos to ‘choose’ which cards to offer the player. Other casinos have since added such features, but provably fair Bitcoin casinos remain a pretty exclusive bunch. BitcoinRush’s credentials are bolstered further by their ties to Panama-based financial firm Havelock Investments. This group has extensive interests in the new currency, with over a dozen Bitcoin-related businesses under their wing. BitcoinRush is both a casino and Bitcoin sportsbook. For those who like to first hit the blackjack tables, before later spreading their winnings across the big game, the ability to do both from the same account is a significant bonus. In fairness, the casino options are currently the more extensive, and sportsbook enthusiasts may find the choice of markets a little lacking. For bettors who want the basics though, the sportsbook will be more than adequate. The firm expects to expand these offerings in the future. One of Bitcoin’s strengths is the anonymity it confers upon the user. The book allows you to take full advantage of these features. You do have the option of attaching an email address to your account to help with password resets, but at no point will you be forced to supply email details. Savvy sports bettors may immediately notice the reduced juice lines, allowing them to wager at less than the standard -110. You won’t quite get the cost savings of a traditional reduced juice sportsbook, with even the best value markets on BitcoinRush only going as far as -107, and the majority settling for -109. However, despite giving bettors only a slight advantage over traditional -110 books, these -107/-109 lines will save you a lot of money over the long haul – particularly if you’re putting on large sums. BitcoinRush doesn’t currently offer a deposit bonus, but the ability to bet reduced juice markets is worth much more than a regular deposit bonus with an attached rollover. As we have said, BitcoinRush’s sportsbook markets aren’t as extensive as those on many other Bitcoin services. This isn’t so much a knock on BitcoinRush as a compliment to the industry, with many Bitcoin offerings rivalling some of the largest sportsbooks in the world with their betting options. BitcoinRush, then, can’t yet match these firms. But the platform will still meet most bettors’ needs. The list of markets includes football, basketball, baseball, hockey, tennis, soccer, mixed martial arts and boxing. It even extends to NCAA football and basketball. Those looking to bet on European soccer will find a decent list of markets as well. The English Premier League, Bundesliga, Serie A, La Liga, Ligue 1 and Eredivsie are available daily. Other competitions, such as the World Cup, Champions League or CONCACAF, are also covered. But while the section headings may be relatively impressive, the options themselves are rather less so. BitcoinRush only cover traditional sides and totals betting, with no Asian handicaps offered. These soccer handicaps have become increasingly popular over recent years, and are mainstays at just about every sportsbook covering the sport, so it’s very disappointing to find them not supported here. In fact, if you want anything other than straight bets on sides and totals, you may be underwhelmed by the range of choices. Sure, they offer parlays up to seven teams, but they don’t stretch to teasers, regardless of the sport. There aren’t even future bets available for major sports. Nor are there any live betting markets. The reduced juice markets result in relatively low odds across the books. But it’s hard to ignore the fact that they are missing so many of the basics. BitcoinRush are keen to grow with their customers, and they intend to expand their list of markets and improve the sportsbook over the coming months. Such improvements may take their product to the next level. BitcoinRush’s wagering limits are one of their biggest strengths. Reduced juice sportsbooks normally have higher betting limits than other sportsbooks, and this very much applies here. We have seen many Bitcoin sportsbooks with low maximum limits, even on the top markets. Some have betting limits as low as 1.5 or 2.0 BTC. BitcoinRush, though, goes as high as 5.0 BTC on popular betting markets, such as the NFL and English Premier League. Less prominent markets will have smaller maximum bets, but the 5.0 BTC limit surpasses that of many Bitcoin sportsbooks. The sportsbook credits deposits instantly, and has an automated withdrawal system to provide instant payouts. Only one confirmation is required before deposits and withdrawals are executed, so almost all transactions are instant. The vast majority of the bitcoins held by BitcoinRush are stashed in offline cold storage. For the purposes of withdrawal, a small percentage of their funds are stored online. The support staff is excellent, despite not having a live chat feature or a phone number. They only answer questions via email, but are prompt and knowledgeable. They are also active in Bitcoin Forums, and offer support via Skype. I have been pretty critical of BitcoinRush in a lot of areas, but it needs to be pointed out that the sportsbook and casino haven’t yet even completed their first year of operations. Considering their short time in the business, the product so far is excellent. Their casino is one of the best around, their sportsbook offers reduced juice, and they are working to expand their markets and bet types. The future looks strong for BitcoinRush.